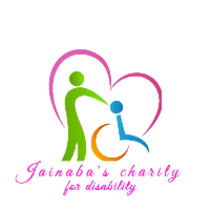 We want to help the disabled people to be part of the population next to the enabled people. This because we believe it does not matter who you are, disabled or enabled. We want to find different ways for the disabled people who feel being left out, to be able to connect & join the society. We are looking for donators who are willing to donate to out charity. The plan to allocate the money based on the needs of the disabled. These needs are divided into four different areas: mobility support, working skill teaching\guidance, education and transport. With mobility support we want to provide in wheelchairs, crutches etc. For work we want to help them to find\create work within their capability like carpentry, tailoring or batic designing. Education is mainly for the children as the disabled have nothing to send them to school because they are not able to find work and earn money for this. Last but not least transport will consist of the following: transport of mobility support from the Netherlands to Gambia and busses in Gambia to move the disabled from home to work.